I’m sure you’ve all read books about butterfly gardening, and almost every one of them recommends Butterfly Bush (Budleia spp). But did you know that Butterfly Bush is a highly invasive plant and is destroying native butterfly and wildlife habitat? 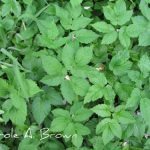 This is a plant from Asia, and now it’s spreading out of control along stream banks and other areas all over the country. How long do you really think we have until Butterfly Bush is listed as invasive in Wisconsin? Or Iowa? Or any of these other states in the middle of this map? Why take a chance when there are so many better choices in native plants that butterflies will flock to that are much healthier for butterflies and also for our fragile ecosystems? 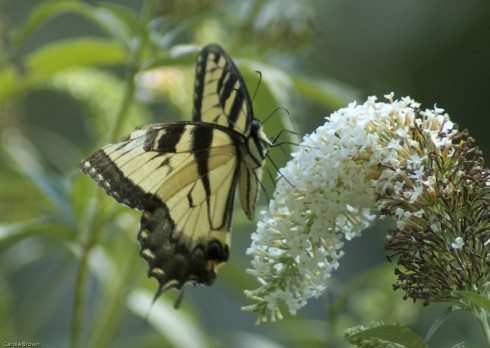 Each Butterfly Bush produces over 100,000 seeds, and they are distributed in the wind, so even though you may not see seedlings popping up in your garden, your Butterfly Bush is probably responsible for spreading devastation in natural areas like stream banks and disturbed industrial sites. You don’t want to be the one responsible for this damage to our ecosystems do you? It’s sad and shameful that organizations dedicated to the protection of butterflies, especially the Monarch, are spreading information that is ultimately harmful to our wild areas when there are so many better alternatives. Even though they may be dedicated to doing good for a particular species and had a lot of success in reaching out to the general public and raising awareness about declining species and how we can help them, it’s really not helpful in the longterm if that supposed “help” is destroying the habitats that all other wildlife is dependent on for their very survival. For example, MonarchWatch.org has butterfly bush at the top of their recommended planting list, with no disclaimer that it’s listed as an invasive plant in over 20 states and counting, and also no instruction that if you’ve got this problematic plant in your garden, you MUST deadhead it before it produces the abundant seeds that are wreaking such havoc. In reality, how many home gardeners are actually going to spend the time to remove every one of the multitude of flower heads every week or so? Not many, sadly. 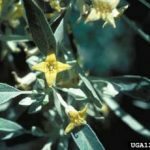 No matter how much we want to help the Monarchs and all the other butterflies, native bees, and other wildlife, it is very irresponsible of these organizations to continue to promote a plant that causes so much damage, and not educate their supporters about the many, many better native alternatives to the invasive Butterfly Bush. If the goal really is to save Monarchs (but why single out just one species when so many other butterflies are in trouble? ), why would we do something that can be so harmful? Why wouldn’t we work to save, restore, or create more habitat for ALL butterflies? We can all do so much better. And organizations and educators have a duty and a responsibility to give their supporters the best information that doesn’t cause more problems down the road. It is my most sincere wish that MonarchWatch and other similar conservation organizations would be very careful and much more thoughtful about the plants they recommend. The MonarchWatch recommended nectar planting list is kind of a sad and useless joke with no scientific names, no disclaimers about Butterfly Bush, and no specifics about regional differences. It’s not really helpful at all because the best nectar plants for butterflies will depend completely on where you live. 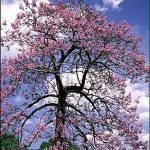 Each region of the country is very different, and there are many native plants that will work well in one ecotype and not in others. It would be so much more helpful if the good folks at MonarchWatch took some time to update this page. My suggestion is that they model their plant recommendations after the excellent resources at The Pollinator Partnership. You simply enter your zip code and you’re directed to one of the 31 ecotype-specific Pollinator Friendly Planting Guides, and in there you’ll find a calendar of native plants appropriate for your region so that you can have year round value to butterflies and other wildlife. I would happily become a big fan and supporter of this otherwise worthy organization if this were to happen. 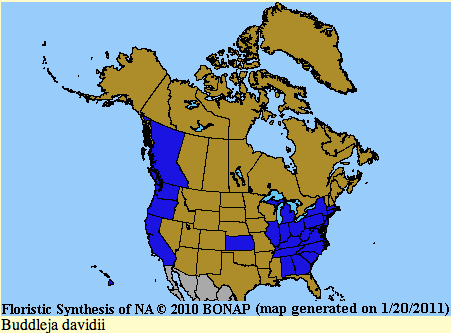 Even my favorite butterfly organization, the North American Butterfly Association (NABA) has contributed to this confusion, which makes me very sad. They devoted their entire Summer 2012 issue of Butterfly Gardener to “The Great Butterfly Bush Debate,” which showcased the two opposing sides about Butterfly Bush. Now the Butterfly Bush is under attack from well-meaning native plant lovers…Native Plant Absolutists gnash their teeth in frustration, but butterflies are not ideologues If their foot’s chemical receptor and the molecule match, the plant’s origin is irrelevant. Why be so rigid? Our Regional Director of the Kansas Native Plant Society has a greenhouse and raises hundreds of butterfly bushes to sell at area Master Gardener plant sales. My sense of justice is offended by Americans who eat predominantly non-native foods, but would refuse that same pleasure to butterflies. What accounts for these opposing views? Mary Anne lives in New Jersey, where Butterfly Bush is running rampant along stream banks and other natural areas and is a huge problem and concern for environmentalists. Gardeners in at-risk states do not need to deny butterflies their favorite adult beverage. Buddleja spreads by seed, so if the flowers are deadheaded just as they start to wither, there will be no volunteers. Do you have the resolve and discipline? If not, look for another plant choice. If you can commit to religious deadheading, the butterflies and many other pollinators will thank you. The thing is, people really want to help butterflies. We all know the Monarch butterfly population is well below normal this year, and this is a big concern to all of us. But in trying to do good, are we really making other problems with our beleaguered natural areas worse? I have worked for almost 30 years teaching people to garden sustainably, conserve natural resources and create welcoming habitat for wildlife in their gardens so that they will attract more birds, butterflies, native bees, and other wildlife to their gardens. But educating the educators may now need to become my primary mission. 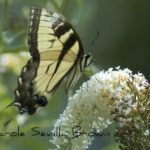 Dr. Thomas Barnes of Kentucky Native Plants has a great article dispelling the myths and misinformation about the invasive nature of Butterfly Bush. In Why You Shouldn’t Plant Butterfly Bush, Debbie Hadley talks about the many harmful impacts this plant is having on our environment. Conservation organizations have a duty and responsibility to give the best information to their audiences. Many home gardeners have no idea that butterfly bush (the Buddleia species) is invasive. And they also are not aware that there are MUCH better native alternatives to the invasive butterfly bush. So it is irresponsible of butterfly experts to not educate people and give them the tools and information that would help these home gardeners make much more beneficial choices for butterflies and the environment. 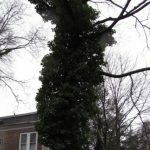 Our experts have made many mistakes over the years, at some points recommending the planting of multiflora rose, crown vetch, russian olive, and so many other plants that, despite their best intentions, have gotten out of control and are now costing millions of dollars every year to try to control. 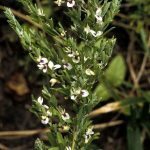 Hopefully we can learn from our mistakes in recommending invasive plants. Yes, butterflies DO come to nectar and butterfly bush, but this plant is not a larval host plant for ANY butterfly species. You’re getting just one ecosystem service for a few weeks every year, when if you planted native alternatives to the invasive butterfly bush, you’d be providing a wide variety of ecosystem services in all seasons of the year. If a wildlife garden has a wide variety of native plants you’ll begin to discover that the butterflies actually prefer the natives and won’t even bother going to the butterfly bush. So forget about wasting your time trying to deadhead your butterfly bush at this time of year, and instead plant some of these native plants. Your butterflies will thank you! If you are trying to attract more butterflies to your garden, the first thing you need to understand is that more butterfly bushes do not mean more butterflies. Yes, butterflies do feed on the nectar of butterfly bushes but that’s where the attraction ends. Goldenrod as a larval host plant, and many species of insects also use parts of this plant for shelter and food. Go to Cape May during the peak of Monarch migration, and you won’t find many Monarchs on any butterfly bushes, they are all over the Seaside Goldenrod. 112 species of butterflies and moths use the Asters as larval host plants, in addition to providing abundant nectar. New England Aster is gorgeous planted alongside your Goldenrod, and you’ll spend many happy hours watching all the pollinators who come to visit.